Back in May I stopped drinking coffee. It was a bit of an odd decision for somebody who was a self-confessed coffee addict. I really liked my morning coffee, maybe another one after lunch and one as a pick-me-up in the afternoon. But I couldn’t fail to notice the slumps I had afterwards. So I decided that a whole cafetière was in fact somewhat excessive and stopped altogether - no half-measures here. And I felt good, my energy levels balanced out, and I didn’t miss my coffee at all. Until I did. As the dark season hit, I found myself hankering after the odd cup of this delicious dark brew. That got me thinking: I didn’t have to go back to my excessive habit, I could just enjoy a cup here and there and really savour it, instead of mindlessly gulping down several mugs. So I’m back to drinking coffee now. But I don’t use it to wake me up in the mornings or throughout the day, I now just have some when I really fancy the taste. With a more, ahem, responsible approach to drinking coffee also came a desire to drink better coffee. Pre-ground packs that I’d just chuck into my cafetière weren’t going to do anymore, no, it had to be something more upmarket. 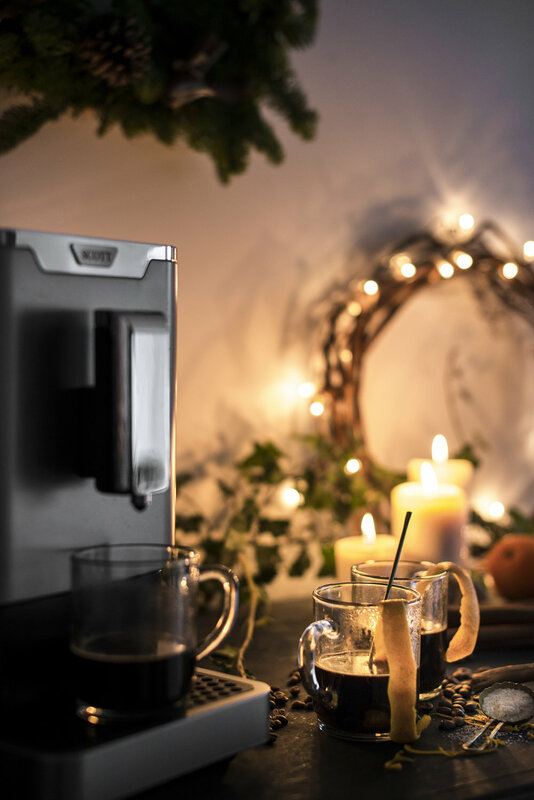 Dragging my heels and procrastinating (as I have a tendency to do) meant that time passed without me doing anything about it until fate intervened and the nice people from SCOTT, a newly launched brand in the UK, got in touch with their SLIMISSIMO coffee maker. A coffee maker that does everything for me and delivers a cup of freshly ground and brewed coffee in under a minute! Perfect! Yes, it uses fresh beans, grinds them for each individual cup and then delivers the perfectly brewed cup. And if (like me), you like to experiment with different flavours and sizes, then you'll be pleased to know that you can simply remove the drip catcher at the bottom to accommodate tall glasses! Another HUGE plus in my books is that there are no nasty capsules involved! The planet is drowning in rubbish and I really do not want to unnecessarily add to it by using a tiny capsule for each cup of coffee. 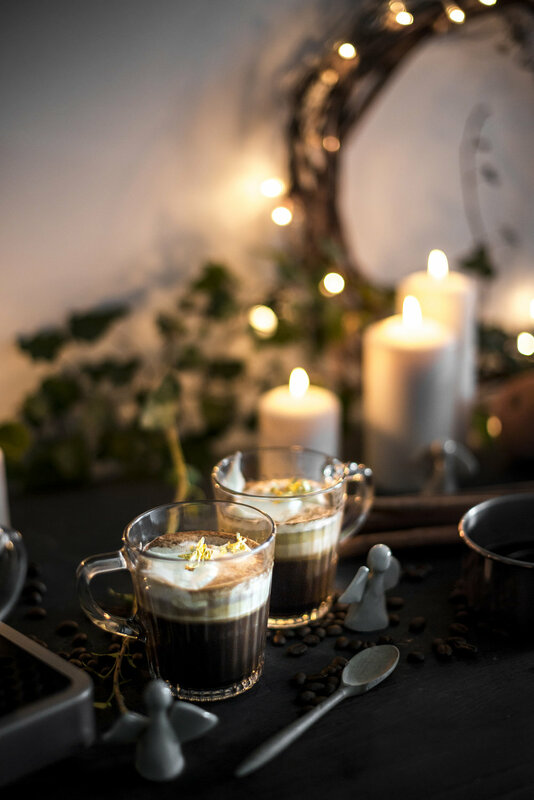 So, in order to “celebrate” my new-found love for coffee, this new coffee maker and of course coffee itself, I have come up with three simple recipes that are perfect for the cold as well as festive season. 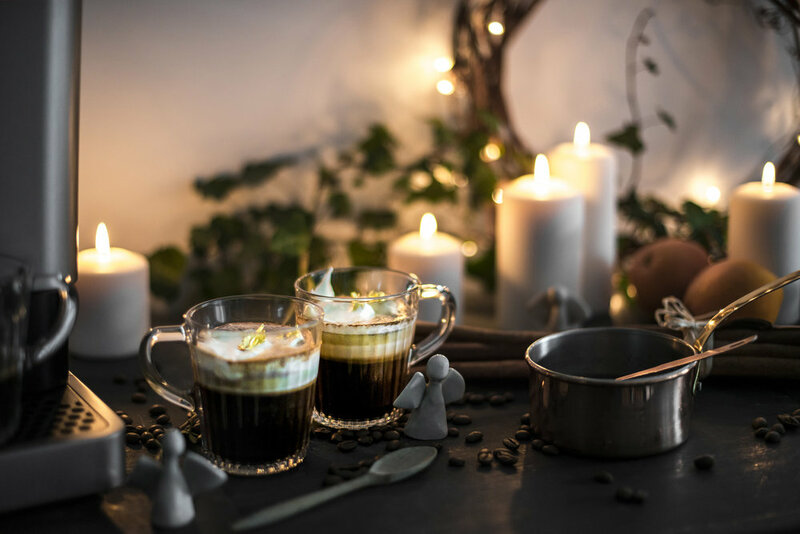 And speaking of festive season, if you're looking for a gift for a coffee lover, then this nifty little appliance together with the milk frother is currently on offer at SCOTT! I've put both to the test for these recipes and can only say that it's a fab addition to my collection of kitchen appliances. And that little milk frother is pretty clever as, if you want hot milk, it will heat it up for you! Disclaimer: I was compensated for this post, however, all images and opinions stated in this post are my own. Moreover, I truly have gone back to drinking coffee.